UMP | University of Minnesota Press Blog: Autism Awareness Day 2015: Adding "acceptance" and "alliance" into conversations about autism. Autism Awareness Day 2015: Adding "acceptance" and "alliance" into conversations about autism. the range of diversity in people with Autism Spectrum Disorder (ASD). Today is World Autism Awareness and Acceptance Day. The organization Autism Speaks is promoting a “Light It Up Blue” campaign to encourage individuals and whole cities to go "blue" to raise awareness about autism. If you are reading this blog post a day late, don’t worry. All of April is dedicated to Autism Awareness and Acceptance, so you still have time to find that blue tie or scarf. But beyond wearing blue, what should we do to commemorate this day and month for autism awareness and acceptance? That question has been heavy on my mind. I want to use my blog post to raise awareness about the spectrum of the autism community. When I say spectrum, I’m not talking about diagnostic criteria—although these diagnostic categories are important. Briefly put, in 2013, the Diagnostic and Statistical Manual for Mental Disorders made a dramatic change in how autism is classified by uniting a whole range of “disorders” (including autism, Asperger’s syndrome, and pervasive developmental disorders not otherwise specified) into a unified category of Autism Spectrum Disorder (ASD). What this means is that there is huge diversity in people with ASD. Let me give you two quick examples. Last week I participated in a research colloquium on a study conducted using virtual reality technology with thirty adults with ASD. Many of the research participants were in the audience and they discussed their perceptions of the virtual reality experiences and potential future uses of the technology. The conversation was stimulating, funny, and—for the researchers—very rewarding. This is one point on the spectrum. 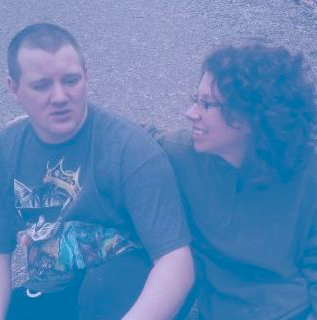 A few days later, I received an update about my adult brother with autism. My brother lives in a developmental center with about 100 other people with severe to profound intellectual and developmental disabilities. My brother has not said a word since he was two years old—now almost 30 years ago. I would love to give my brother a high-tech tablet so I can at least see him, since I can’t talk to him. But my brother has challenging behavior. A long trail of demolished televisions, DVD players, walls, toilets, light fixtures, door frames, and many other objects follow in his wake. He is another point on the spectrum. But like I said, I want to raise awareness about the spectrum of the autism community. This spectrum explains why activists call this day either Autism Awareness or Autism Acceptance Day. Autism Speaks is promoting World Autism Awareness Day, as it has done since 2008. Autism Speaks describes itself as “the world’s leading autism science and advocacy organization, dedicated to funding research into the causes, prevention, treatments and a cure for autism.” Hence, Autism Speaks takes a medical model approach to autism. If we are raising this kind of awareness, then we will probably focus on finding medical interventions that can alleviate the symptoms of autism, or finding the genetic causes of autism in the hopes of eliminating future cases of autism. Disability activists, however, have criticized the medical model approach to disability precisely because of its emphasis on rehabilitation and cure, rather than an emphasis on human rights and civic participation. This explains the acceptance part of the day. Autism Acceptance Day was started in 2011. This approach promotes accepting autism as a “natural part of the human experience,” promoting human rights of people with autism, and listening to the voices of people with autism. Hence, just like autism is a spectrum, so too is the advocacy community. As a feminist theorist who works on issues of social justice, I appreciate the work of autism activists in shifting attention to acceptance rather than awareness. But I want to push back and ask: are there risks in acceptance? The definition of acceptance is “the action or process of being received as adequate or suitable, typically to be admitted into a group.” To me, acceptance implies an end to struggle. In contrast, in my qualitative research with the self-advocacy movement run by and for people with intellectual and developmental disabilities in the United States, what I appreciated most was the struggle between self-advocates and nondisabled allies. I describe some of these struggles in my book The Capacity Contract where I focused on another a-word: alliance. Building alliances in the disability communities that I observed meant a willingness to point out paternalistic behavior—even among well-seasoned activists. Alliance also meant a willingness to handle these missteps with a sense of humor—as laughter at our own mistakes is a kind of forgiveness we offer to one another—thus making our continued alliance possible. I would like to celebrate World Autism Alliance Day. I would like to envision a world in which we are willing to form alliances with one another—amid misunderstandings, conflicting models, challenging behavior, painful histories, and deep differences. My brother needs an ally, and—on many of my recent days—so do I. So let’s commemorate this day by forging a new alliance. Go find that blue tie or scarf before April passes you by and let’s not just wear it. Let’s tie it together. Stacy Clifford Simplican is author of The Capacity Contract: Intellectual Disability and the Question of Citizenship. She is a postdoctoral fellow at Michigan State University and the DOCTRID Research Institute, which focuses on improving the quality of life of people with intellectual disabilities. 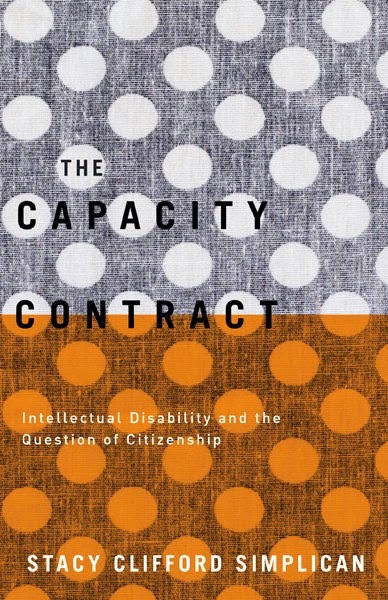 "The Capacity Contract brings much-needed insights to both political theory and disability studies. Its original analysis calls for the fuller recognition of the contributions of the intellectually disabled and their social inclusion as citizens." Introducing "Verge: Studies in Global Asias"